July 26, 2017 – Astrobotic and United Launch Alliance (ULA) announced today that Astrobotic’s Peregrine Lunar Lander will launch on a ULA Atlas V rocket in 2019, during the 50th anniversary of Apollo 11. The Peregrine Lander will deliver payloads to lunar orbit and to the Moon’s surface. The Peregrine Lunar Lander will fly 35 kilograms of customer payloads on its first mission, with the option to upgrade to 265 kilograms on future missions. This announcement comes as Astrobotic continues to advance Peregrine toward flight, with the preliminary design review of the vehicle having taken place in November 2016. 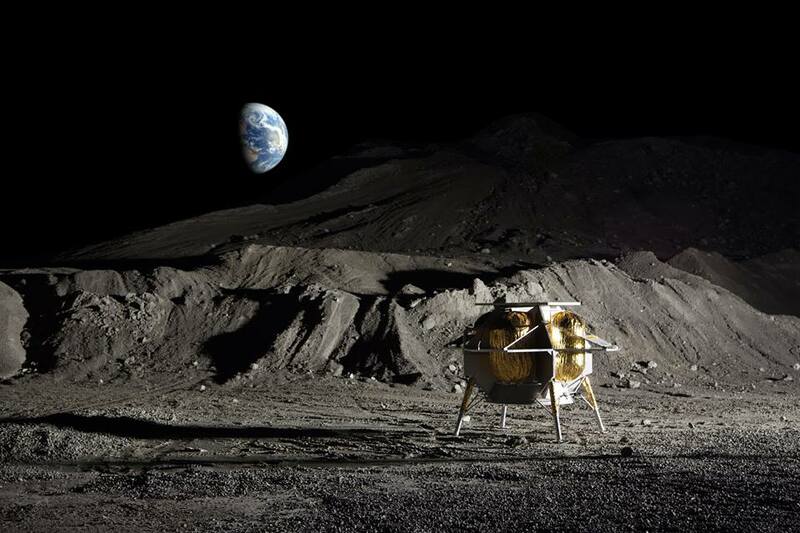 This effort is a big step in realizing Astrobotic’s goal of creating a Rust Belt based international gateway to the Moon. Already 11 deals from six nations have been signed for this 2019 mission. The first mission in 2019 will serve as a key demonstration of service for NASA, international space agencies, and companies looking to carry out missions to the Moon.